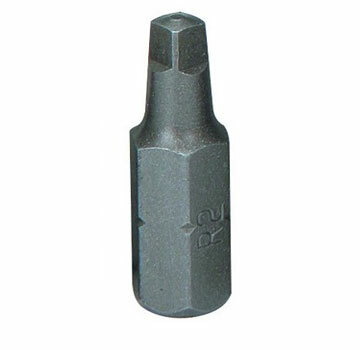 #1 SQUARE DRIVE BIT, 1" LONG, 1/4" HEX DRIVE, HARDENDED STEEL, RECESSED DRIVER BIT. GUARANTEED QUALITY AND PERFORMANCE. PRICE/EACH. Designed and manufactured from the finest tool steels and carefully heat treated for maximum wear and torque. Every Robertson® hand driver, shank or hex bit has a genuine Robertson® square bit. When used with Robertson® Inc. produced fasteners offer CLING FIT, superior CAM OUT torque and NO WOBBLE. Other types and styles of drivers and bits made to order.